Move into the atmosphere of the spring garden, enjoy realistic sea spaces or recreate the mystery of the night city - which option do you like? 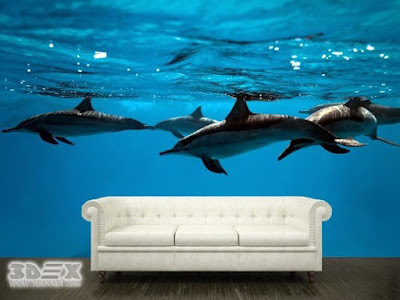 Choose the best story for the walls among our 3D wallpaper designs for the living room walls. One of the places that should surprise guests, of course, it is the living room. As one of the most important rooms in the house, it should be designed in accordance with the most vivid and interesting fashion trends. 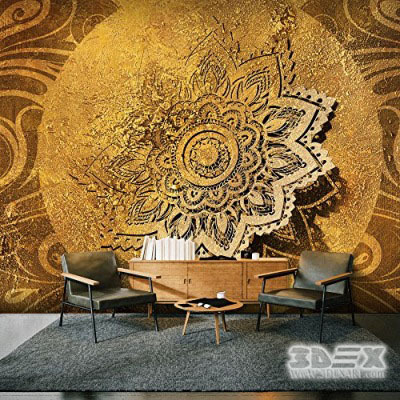 And today, when the production of stylish wallpaper for walls also be developed, one of the trends with aesthetic and practical significance begins to gain popularity - 3D effect wallpaper murals for living rooms. 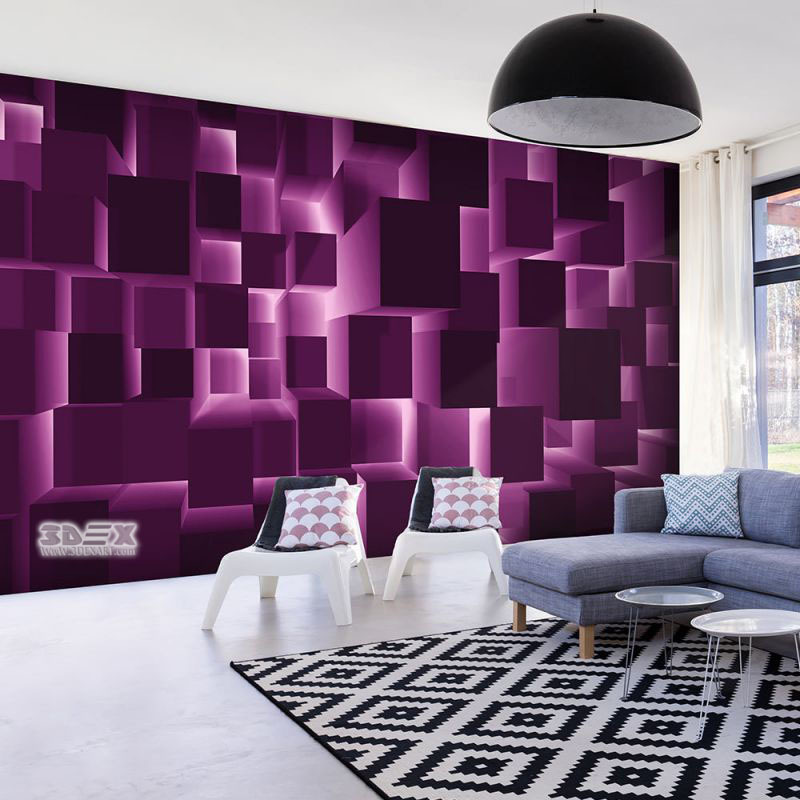 3D wallpaper for living room walls are one of the few options for interior decoration of the walls, allowing you to totally transform the space, without depriving the design of originality and modernity. This approach to design home interiors have already been evaluated by many professional specialists - now it's your turn to pay attention to its advantages. Features of 3D effect wallpapers for the living room. Materials of this type are different from the wallpaper that we are familiar with? 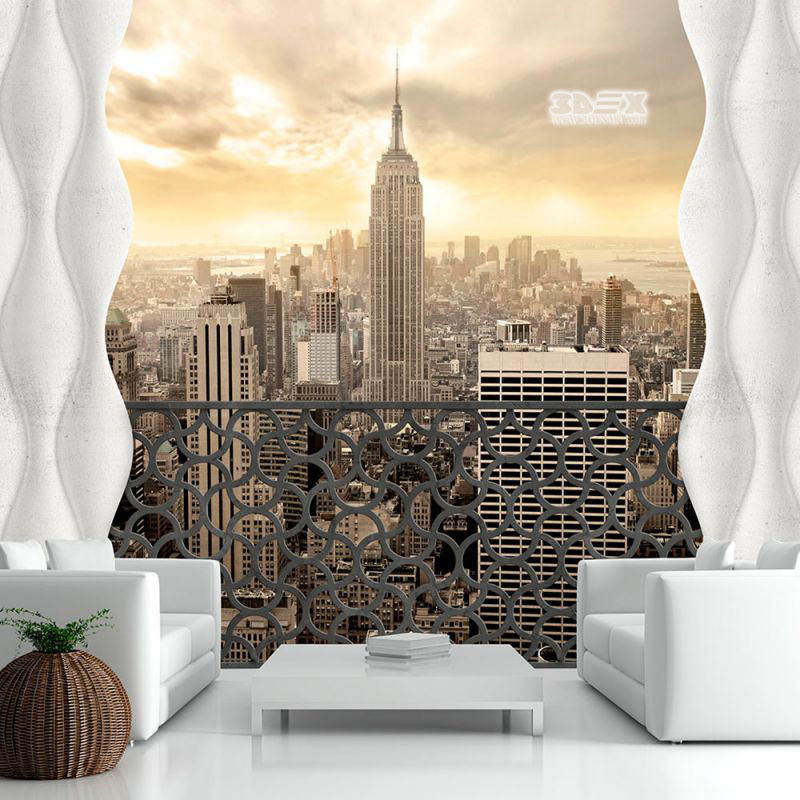 The main feature of 3D effect wallpapers in the living rooms is the specific nature of the picture: high-quality printing makes it possible to create a visibility of a volumetric and realistic image that extends beyond the flat surface. 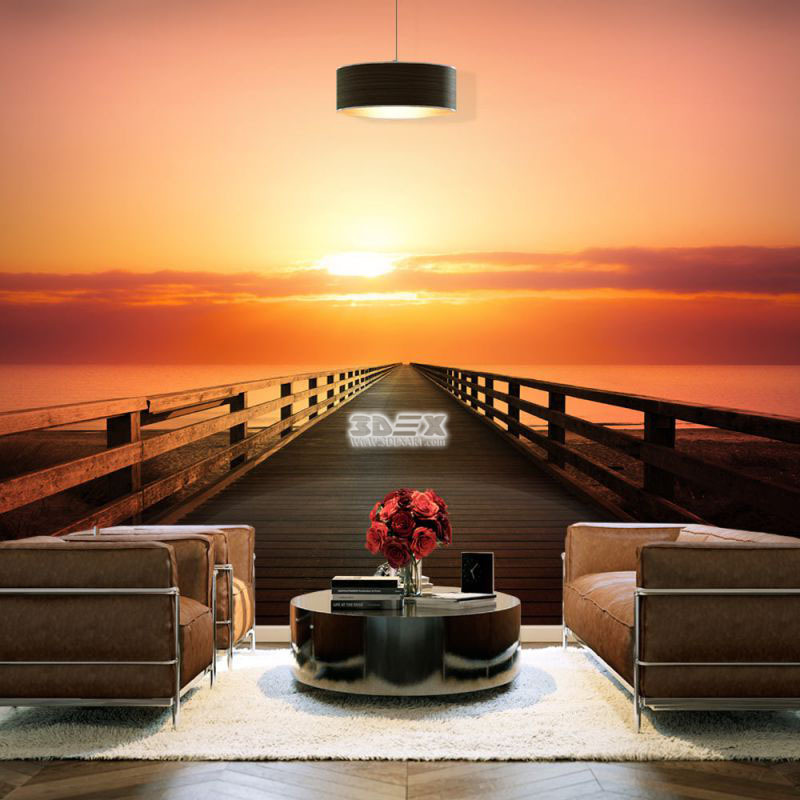 The ability to recreate realistic themes in the home interior contributes to the creation of a light, harmonious atmosphere, soothes and transfers to another space. 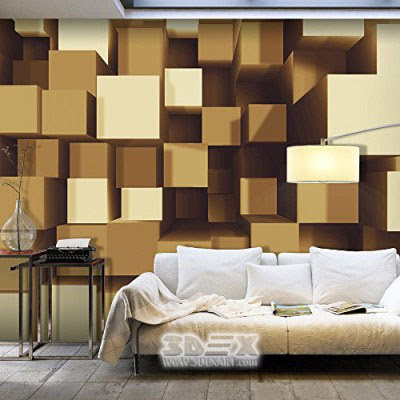 Three-dimensional wallpaper suitable for those who adhere to the traditions of Feng Shui in the arrangement of their rooms: for example, natural motifs will set the mood and provide good health throughout the day. You also may like 3D wallpaper for walls of the living room, bedroom, and bathroom. Attention! 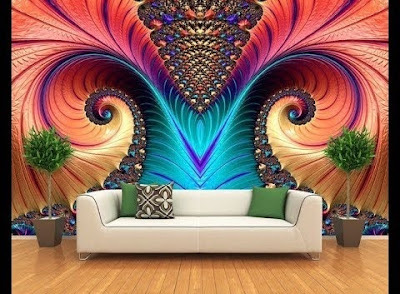 3D wallpapers of this type can be single and complex. In the first case, the image does not include unnecessary details, except for a large three-dimensional drawing . In the second case , the entire image is full of details: it can be geometric and abstract patterns, panoramic landscape themes, urban themes. 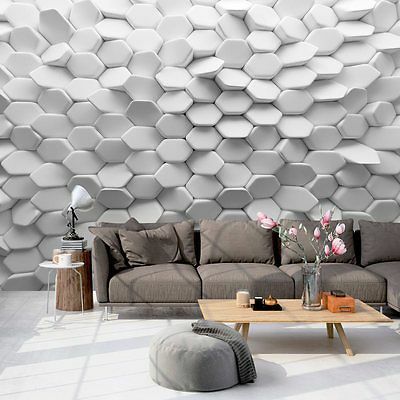 Since the design of living rooms in your house requires the use not only of stylish but also high-quality materials for walls, consider the practical properties of the selected materials. 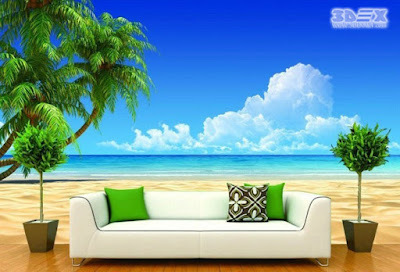 Photo wallpapers with 3D pattern can be paper, vinyl, non-woven, and other types of materials. be environmentally friendly, resistant to fire and moisture, easily applied to the surface of the walls. 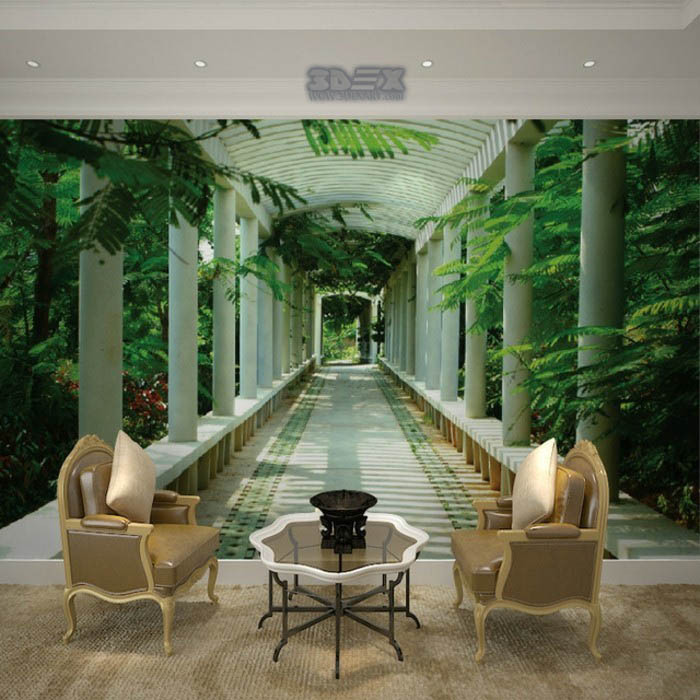 Almost all types of 3D wallpaper images correspond to these parameters so you can not worry about the durability of the walls in the living room. 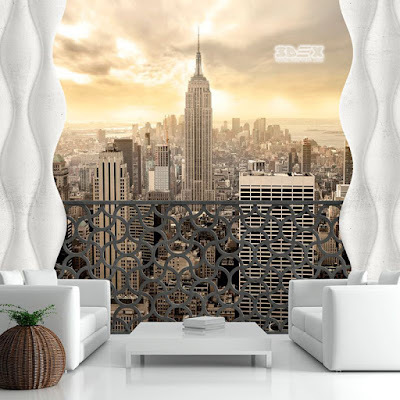 Moreover, wallpaper with three-dimensional images has several other advantages that will make your and your home different. 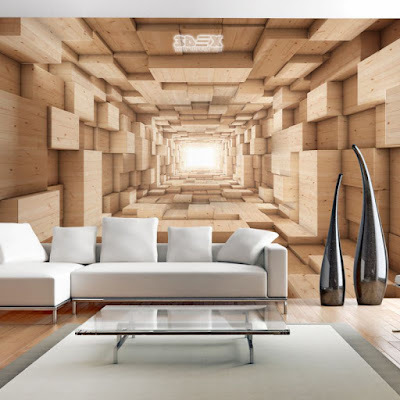 Often 3D wallpaper is used to visually increase the size of the small living room. This feature makes wallpapers more suitable for home design compared to standard wallpaper for walls. 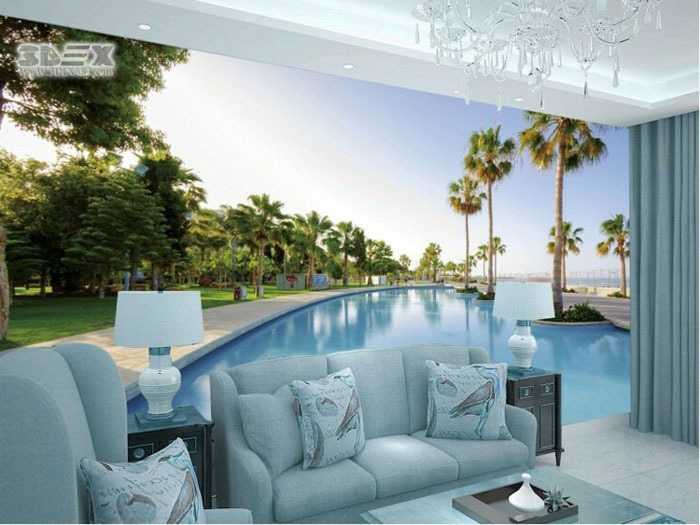 The proper selection of the picture and the location of its placement in the interior will make it possible to transform the space. Sticking photo wallpapers with a thematic drawing is a simple, but rather refined way to highlight the style of the interior. 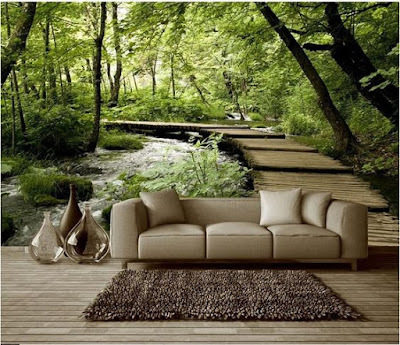 Realistic plots will help to emphasize both modern design and more traditional directions. 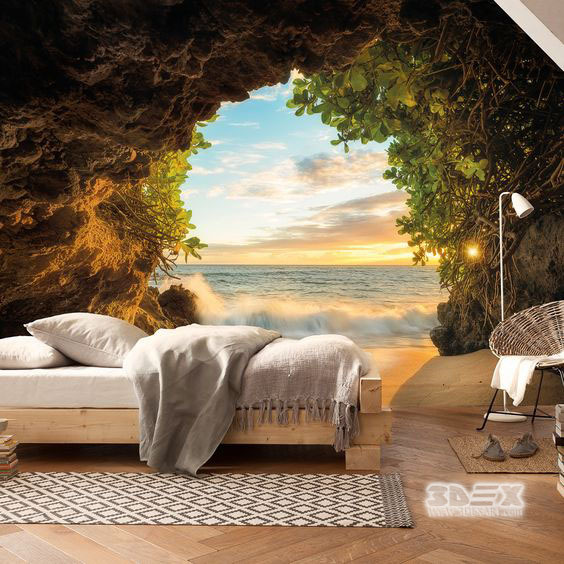 Interiors of any type can be visually divided into several zones by pasting stylish 3D wallpaper in one part of the room. 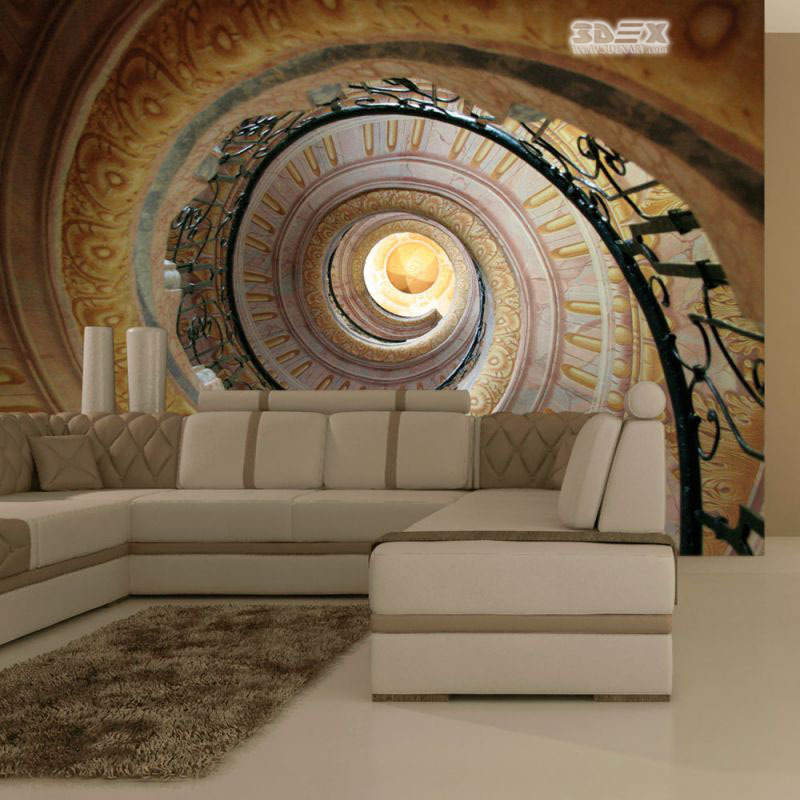 The game of color and design will highlight this space and make your living room more functional. 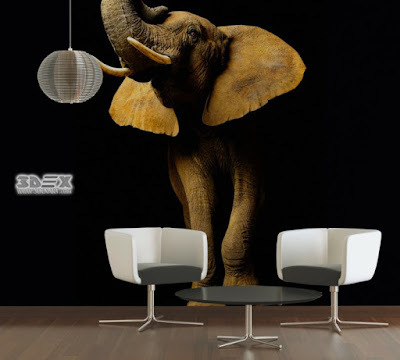 Even monochrome or neutral in color 3D wallpaper designs with the image will support the dynamics in the interior. Your Living room will not be perceived as boring, and the possibility of an independent choice of a drawing will allow you to realize your own ideas of decoration. 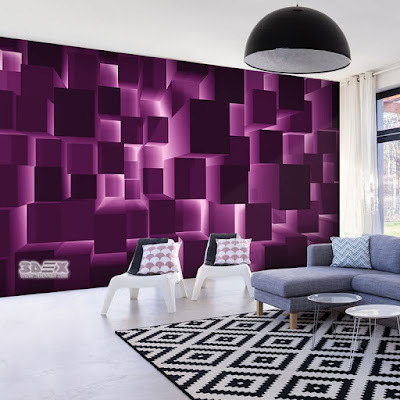 Another no less important feature of 3D wallpaper designs for the living room walls of this type is the ability to transform the color gamut and adjust the brightness of the interior. 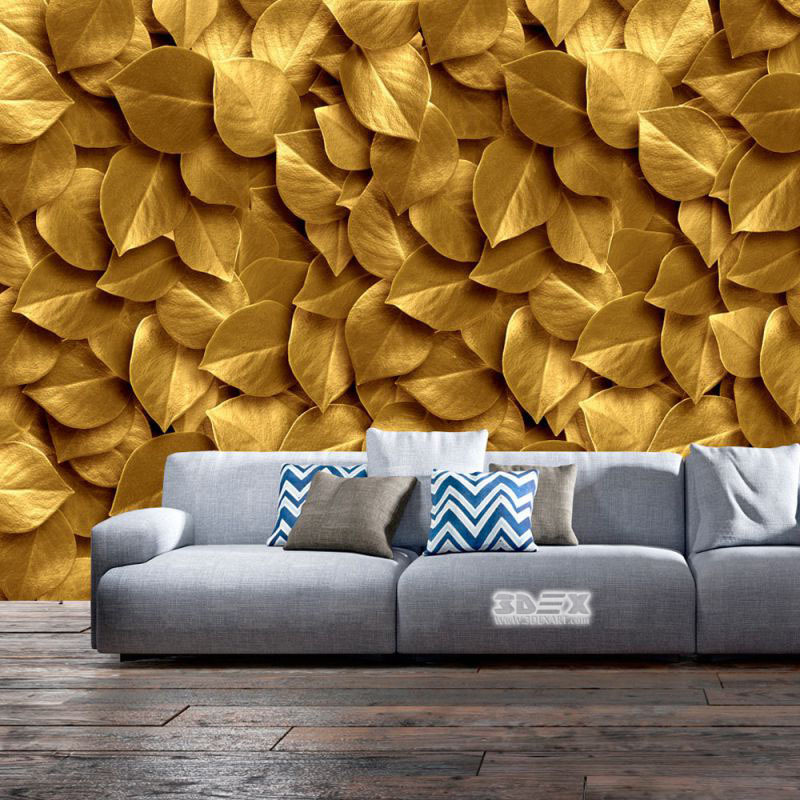 The balance of light and shades, provided with well-chosen wallpaper for the walls is not a difficult task: let's find out what colors and styles of such wallpaper are suitable for the interior of your living room. Important! The general concept of the living room should only be supported by 3D wallpapers. It is better than the photo on the wall should be a continuation of the general theme and not a separate screaming object. Some versions of 3d effect wallpapers perfectly match with wall panels or decorative moldings. 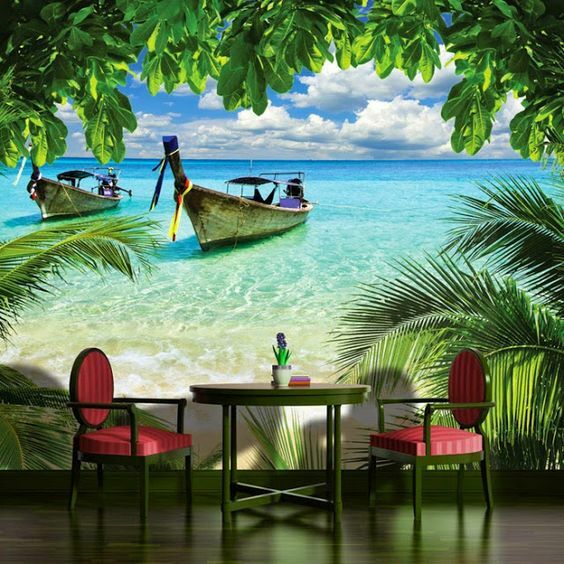 When preparing the surface for sticking 3D wallpaper designs, make sure that all surfaces are flat. Even small defects can damage the canvas, and disturb the image. For fixing to the wall, an adhesive is chosen which is applied directly to the wall. 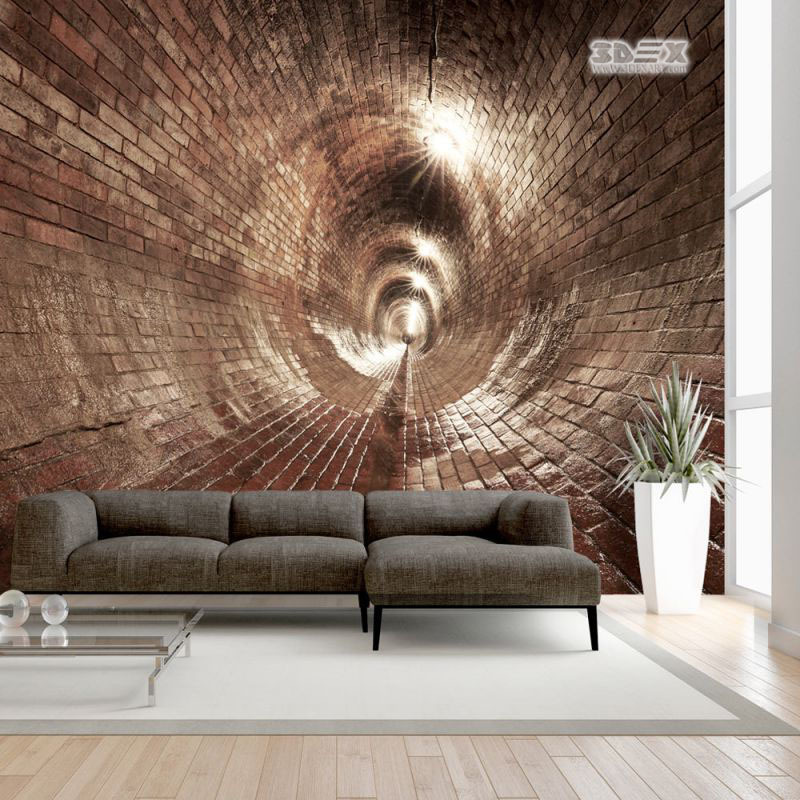 When working with 3D wallpapers for home walls, observe the temperature regime and monitor the absence of drafts. 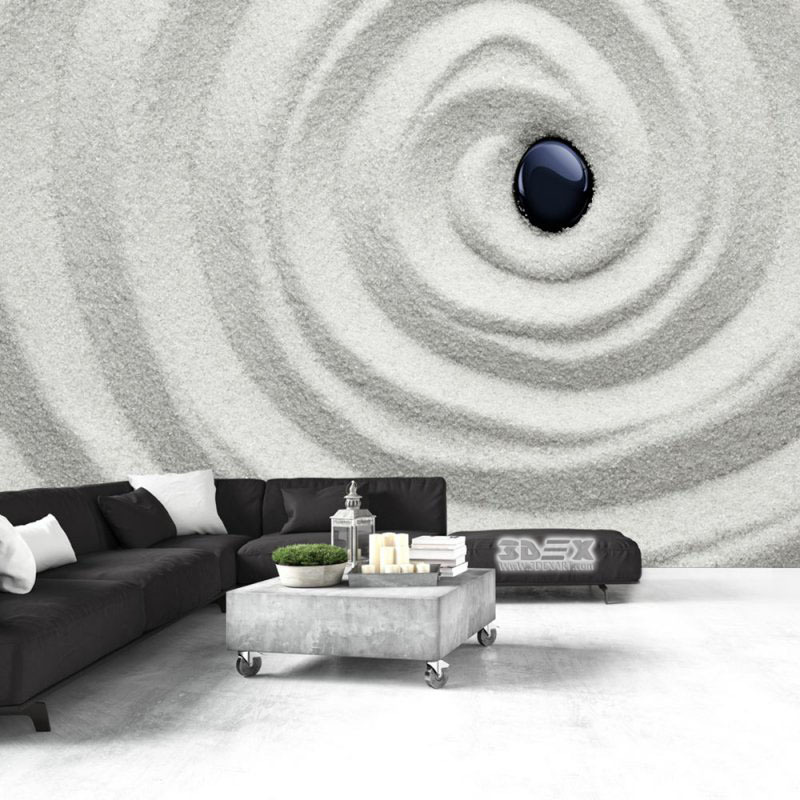 The 3D wallpaper design of a museum, an ancient castle or an art gallery is suitable for lovers of peace and comfort. For the living room in the Eco-style choose pictures of the rain-forest or landscapes with waterfalls, animals, and flowers. To divide the room into zones, you should select the pattern in accordance with the meaning of each place. For relaxation and high-grade rest landscapes, photos of plants, reservoirs will approach. For the part of the room intended for the reception of guests, abstract drawings, photos of evening megacities will naturally fit in.